JD Productions is one of the few wedding events entertainers who have the versatility and experience to serve weddings, mitzvahs, and a variety of parties and celebrations. Whether you want some top 40 hits to play at a local prom or would like elegant music for your wedding, this company customizes a playlist to suit the style of the event and the couple. 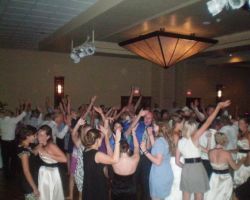 You will enjoy an unforgettable party when you hire this company to create an atmosphere and play great music. When you plan your wedding, you imagine the elegance and emotion of the ceremony and a blow out celebration to end the night. 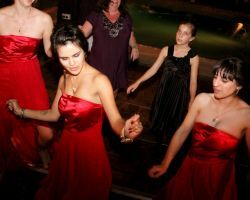 Red-e Entertainment can help make your party one that you and your guests will never forget. This company plays music but really creates an atmosphere. Regardless of the nature of your event, this company always provides reliable and professional service in addition to the great music they play and ambiance they set. Enjoy the beats and the entertainment provided by this company at your next big event. 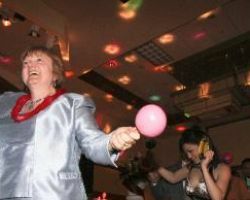 Starberst Entertainment hides nothing from their clients, which is one of the reasons they have become so successful for wedding receptions, reunions, proms and so much more. This company clearly lists what they can do for their clients and at what cost. They can simply come and play great music; they can provide MC services to help the flow of your event, or have them work with you to plan and organize the event. Whatever you need, this company can accommodate. 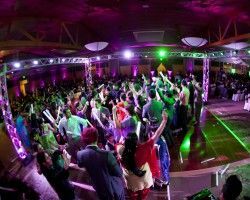 DJ Malhi Entertainment is a company that offers more than any other DJ service in California. This company truly is an entertainment company, providing everything you could need to have a party and create an atmosphere. This includes playing great music, providing up lighting and dance floor lighting, decoration and more. For an affordable price, you can have complete entertainment rather than just great music. 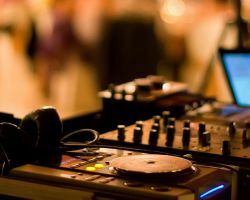 This DJ and the services provided will bring your party to the next level and will make your event an unforgettable one. Sound Systems is a full service mobile DJ company that has had many years of experience in the industry. This experience has led the company to become completely familiar with the flow and order of events for weddings, which has helped them to better serve their clients through entertainment and in planning and event organization. In addition to all of these things, this company can also provide complete lighting for your event as well as chandeliers and dance floor lights too. Weddings can be incredibly expensive, which is why many couples are looking for vendors who provide multiple services. Being able to do more than simply play music is necessary for Fresno DJs to be successful and is why Mike O’Neil’s Dance Machine has become so popular in California. This mobile DJ service can act as your sound manager throughout the event, your MC to ensure everything runs smoothly, and he will help you plan and produce the reception as well. Wicked Entertainment is one of the most highly sought after Fresno disc jockeys for a number of reasons. Firstly, this company has over 15 years of experience providing high quality services. Secondly, this DJ has been reviewed by previous clients as being one of the best decisions they could have made for their wedding reception, and thirdly, this entertainer can customize his services to suit your style and your event perfectly. 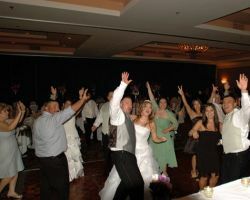 Your expectations of a wedding DJ will be exceeded when you book this company. There are a few DJs in Fresno, CA that distract potential clients with huge descriptions about what they do but no real information about what services they offer and what sets them apart. 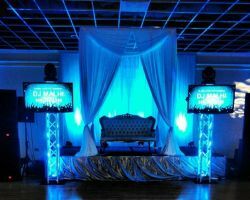 DJ 911 clearly lists all of his prices, and services as well as what would make him the best choice for your next event. Having been in the business since 2008, this DJ has perfected his entertainment persona, added to his already massive library and met the needs of his clients to have a bilingual event speaker.